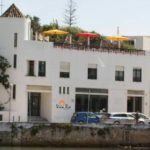 Here I will try to help you find a B&B (Bed and Breakfast) in Tavira. You can see a list of B&Bs with details about where their locations, and how to contact them. If you are a backpacker or you are on budget, a list of Bed and Breakfast choices might come in hand.